Spring is finally here, this is the time to do your planting. This year I experimented with succulents. 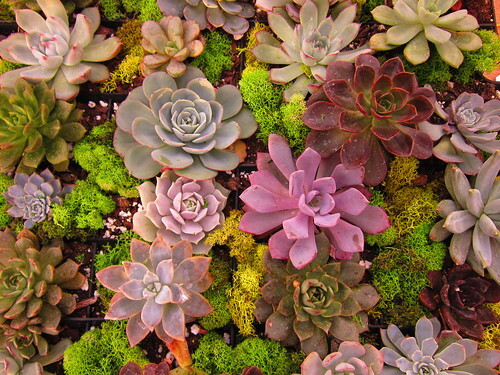 Succulents are great plants for ind﻿﻿oo﻿﻿rs and a great way to decorate. I have been finding great planters for these plants. Remember to keep your eyes open and use you imagination. 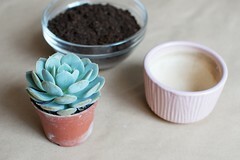 Some ideas for planters are cans from canned goods, candle jars, and coffee mugs. Make sure to use the right soil and you will have lovely decorations in minutes. 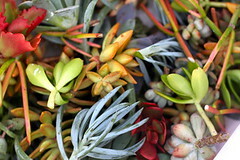 Use leftover cuttings to make small desk arrangements, these are perfect to share with friends. If well kept the plants will grow into the full sized plant. You can even up cycle a decorative bird cage, choose one that was crafted for decor. Make sure to include a bowl or something to catch water (so that the cage will not rust) when watering your plants. I mist my succulents with a spray bottle to prevent over watering. Have fun creating your unique planter this Summer. 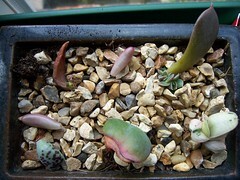 Remember the small succulents will grow quite quickly, so don't waste money on buying the largest size. Or buy the largest one and use it to make lots of smaller planters from cuttings (perfect as gifts).